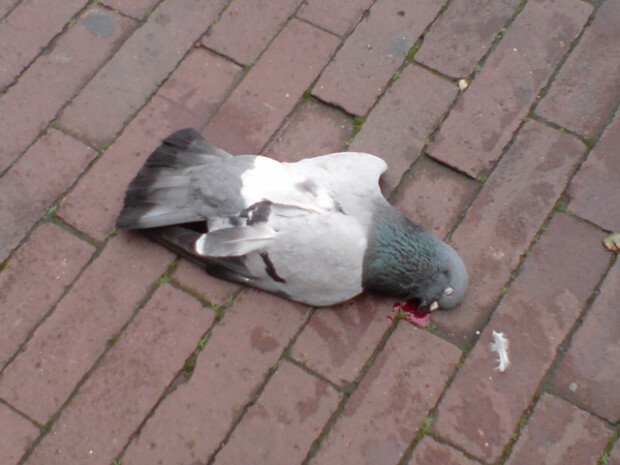 That’s one very dead pigeon. I think it got run over by a car. I don’t particularly like pigeons actually. There are a lot of sick ones in the city, carrying deceases and such. Still, this one looks very sad, being squashed and all.